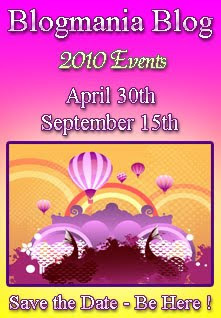 Blogmania 2010, April 30th-over 75+ blogs, giveaways & contests! | Got Fiction? Blogmania 2010, April 30th-over 75+ blogs, giveaways & contests! A Twice Yearly Blog Extravaganza! You literally have the chance to win hundreds of prizes. We’ve done all the work for you. No hunting or surfing for just the right blogs. Every blog you visit will have more links for you to follow, all of them with a special BLOGMANIA giveaway and just waiting for you to drop by. Remember! The special Blogmania prizes are only available for one day, April 30th. The number of prizes you could win is only limited by the NUMBER of blogs you visit. If you don’t already have a Favorite Blogmania Blog bookmarked, you’re invited to start here at DemonLover’s book reviews & more. NextHUMP DAY RE-CAP for the week. Slow down, don’t go so fast….